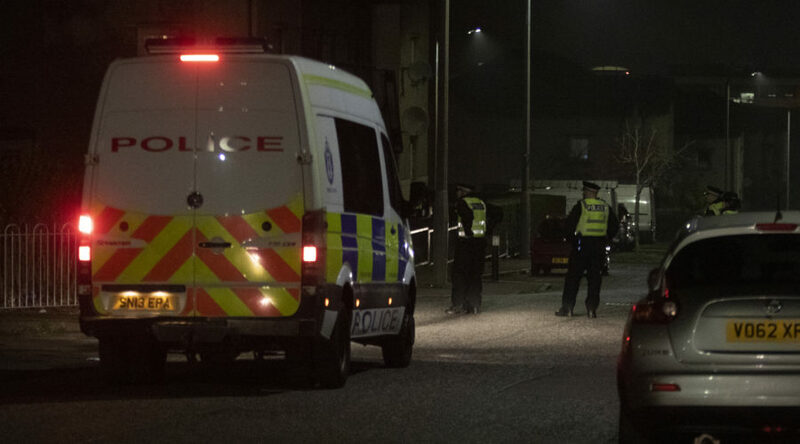 Four people have been charged after emergency service workers were pelted with fireworks in north Edinburgh last night. Police officers and firefighters came under attack whilst responding to calls in Pilton. 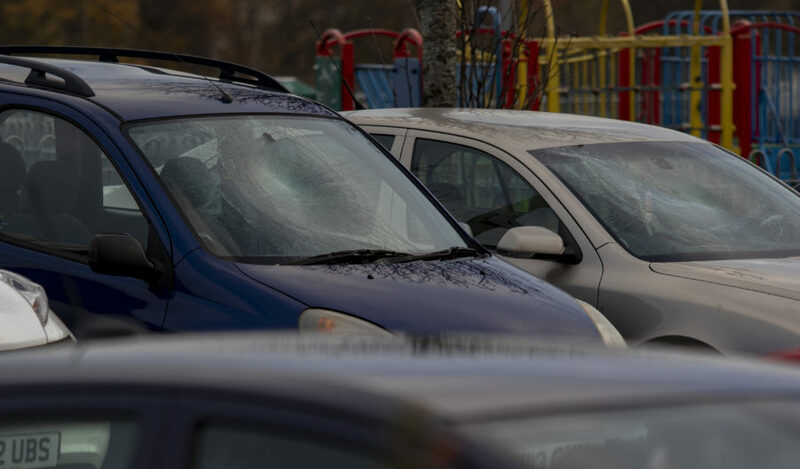 Seven cars parked in a council officer car park were also vandalised in West Pilton Gardens. Cars were vandlaised at a council office in West Pilton. Today Police praised the support of the public and partner organisations following a week-long policing operation to ensure last year’s scenes were not repeated. Reports of small disorder, disturbances and reckless behaviour were reported, primarily in the North West and North East of Edinburgh, with small pockets of antisocial behaviour arising in the South West and South East. Chief Superintendent Gareth Blair, Divisional Commander for Edinburgh said: “Firstly, I want to thank the public for their overwhelming support of our policing operation over the past week. There has been a genuine sense of community spirit by the public and a real willingness to help us prevent Edinburgh experiencing mass disorder over Bonfire Night. 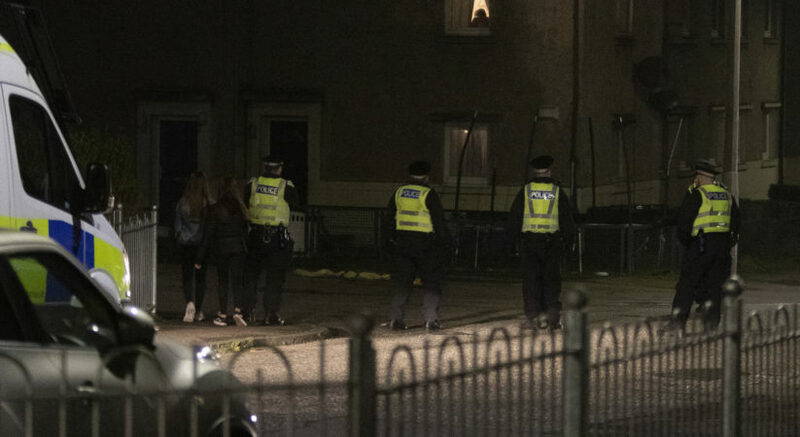 Police officers in West Pilton clear gangs of youths off the street. “To those within our communities who did experience any form of criminality linked to Bonfire Night, I want to assure you that all of these incidents are being robustly investigated and if those responsible are not already in custody, we will be doing all we can to bring them to justice. “The deployment and use of our resources for Bonfire Night 2018 was the culmination of a year of detailed planning between police, City of Edinburgh Council, Scottish Fire and Rescue Service and other key partners. However, there are undoubtedly still lessons to be learned and we will now take on board our observations from this year as we begin planning for next year. 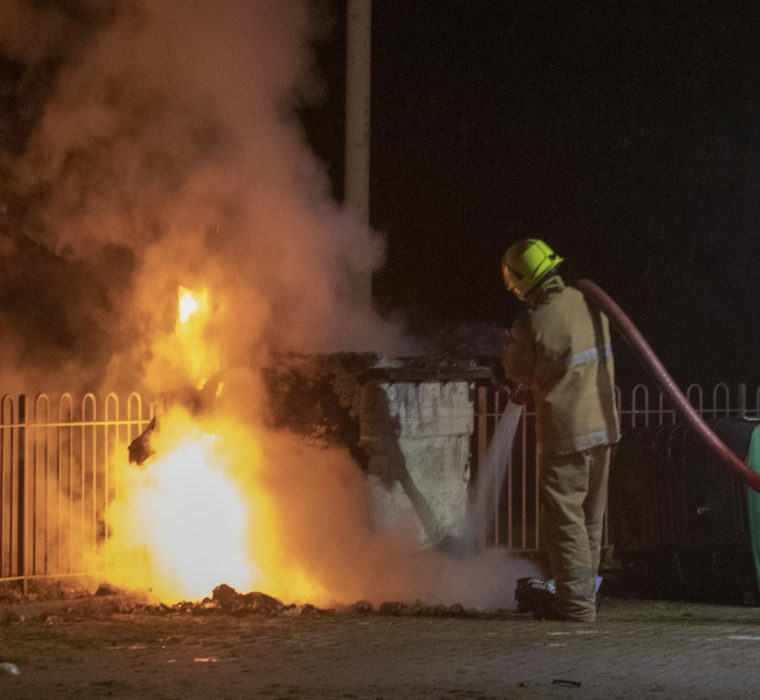 A firefighter extinguishes a bin fire in West Pilton on Bonfire night. Nine arrests were made on the evening, with eight relating to culpable and reckless conduct and breaches of the peace, and a further on an outstanding warrant. Three youths were also charged for the illegal possession of fireworks. Officers on patrol last night successfully invoked 13 dispersal zone warnings across the North East of the city to appropriately address issues relating to large groups of youths gathering and prevent any large-scale disturbances arising in these areas. While there were a number of reported incidents where attempts were made to target police and other emergency service personnel, no officers were injured and no police vehicles were damaged during the evening.